Home - Craftsmen Construction Company, Inc.
Charlotte home remodeling contractor specializing in Kitchen and Bath Remodeling, Additions, Porches, Custom Garages, Outdoor Living Spaces, and Whole House Renovations. room additions, kitchen remodeling, bathroom remodeling, whole house renovations, custom garages and landscape services in Charlotte since 1951. Your home is one of your largest investments, let Craftsmen help you protect and increase the value of your investment. Call today for a free home consultation. 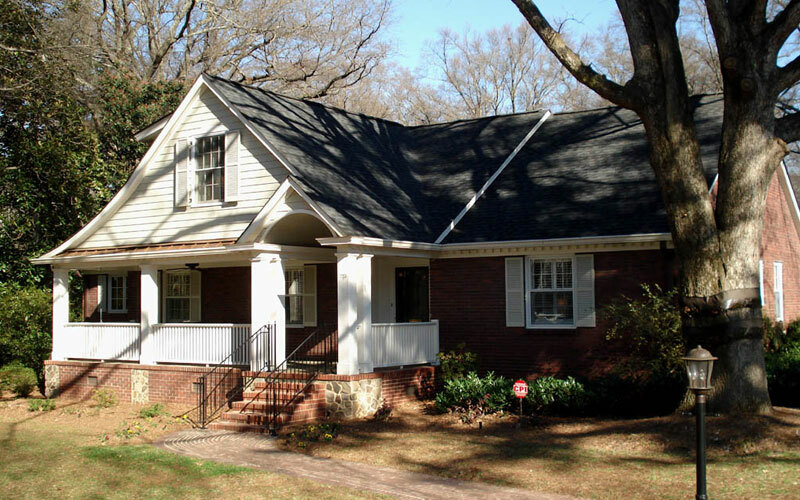 Craftsmen Construction Company has been remodeling fine homes in the Charlotte area since 1951. They became members of the Home Builders Association of Charlotte (HBAC) in 1970 and helped charter the local chapter of the “Remodelors Council” in 1987. Craftsmen is certified by the state of North Carolina as a “Lead Renovation Firm”, which means they are certified to safely work on houses built prior to 1978 that might contain hazardous lead paint. David earned his CR (Certified Remodeler) designation and CLC (Certified Lead Carpenter) through the NARI organization. Along the way Craftsmen has won many local and national awards for their work. In their 50th year (2001) David celebrated with his father, Boyce M. Brown, Jr., when their company won the “Big 50” award presented by Remodeler Magazine. Craftsmen Construction has been part of the Charlotte evolution for 67 years. Experience mixed with continuing education puts them in the best place to help you build your dreams. Their team has built a great reputation for building the highest quality renovations while providing unmatched service at a very competitive price. What can Craftsmen offer you? Through careful cost controls, detailed scheduling, complete coverage of all aspects of construction from renovations, site improvements and custom home building, Craftsmen offers an exceptional value and commitment to provide the finest quality of construction services. Remodeling fine homes since 1951. As an established leader in Charlotte residential construction, we have a selected group of reputable sub-trades with the appropriate skills to master the most sophisticated and challenging projects. State-of-the-art communication network between office, field employees and sub-contractors. Craftsmen is prepared with state-of-the-art computer systems. Complete job cost tracking / budget management software. Craftsmen operates with an "Limited Building" license classification from the North Carolina Board of General Contractors – This level of licensure allows us to contract any project up to $500,000 in the state of North Carolina. David Brown has successfully completed the new "Lead Renovation, Repair And Painting Training Course" is now certified by the EPA to work on housing built prior to 1978 that might contain lead paint. Workman’s Compensation umbrella over subcontractors. Craftsmen Construction is qualified to handle your remodeling project regardless of its size or scope. We take pride in our work and are in our 62nd year of proving our abilities on job sites scattered throughout South Charlotte, including the Myers Park, Dilworth. Eastover, Foxcroft and Quail Hollow neighborhoods. Craftsmen Construction's best advertising is our past clients. We strongly encourage you to explore our reference list. the nations top 50 remodelers. We earned the prestigious "BIG 50" award in our 50th year in business. The Craftsmen team is extremely proud to belong to this exclusive group of the nation's finest remodeling companies.